I am fascinated by ruins and old buildings and Barden Tower located in the wilds of the beautiful Yorkshire Dales in the north of England, does not fail to delight. 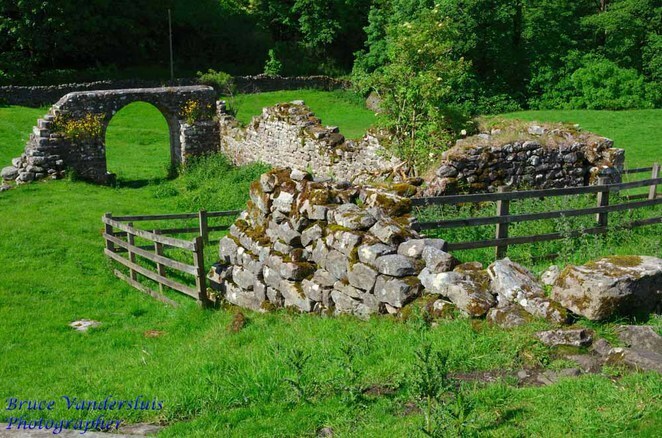 Accessible by car, bus and train it is located between Skipton and Harrogate in North Yorkshire in the grounds of Bolton Abbey. Please go to the website for information on how to arrive by public transport. 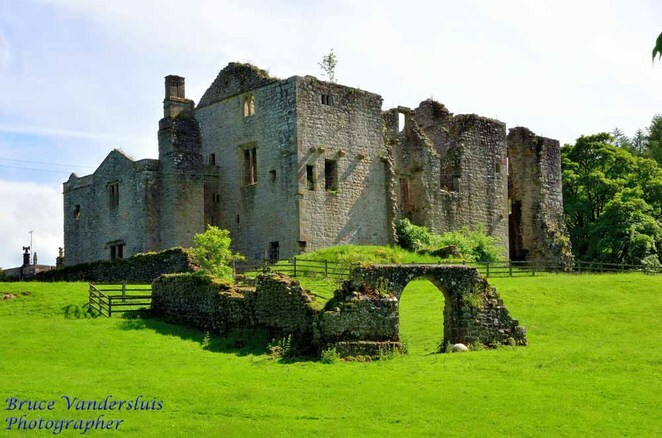 Barden Tower was originally built in the 12th Century as one of many hunting lodges used for the administration of Barden Forest, as a location to hold the Forest Courts and in the 14th Century as a place of protection for local people from raids by the Scots. 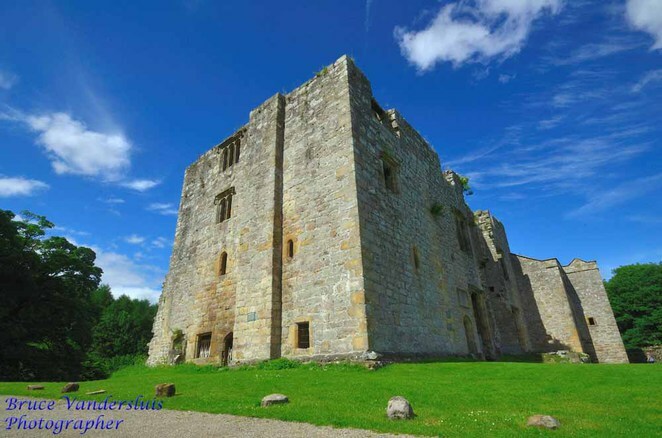 In the 15th Century, Barden Tower was remodelled when Henry, 10th Lord Clifford, decided that a large tower house was more befitting to his needs. As Henry preferred spending his time here rather than in nearby Skipton Castle, Barden Tower was built as a lavish residence, rather than for defence. At the same time, the Chapel and Priest's House was built. After Henry's death in 1523, the tower was only used periodically and was neglected until it was restored and added on to by Lady Anne Clifford in 1658-1659. The Tower had passed into her ownership when the male Clifford line died out with the death of her cousin, the last Earl of Cumberland. 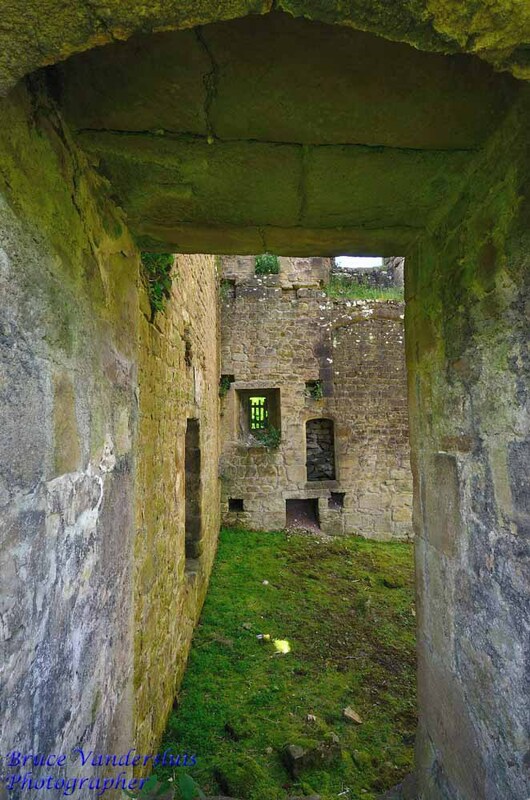 Following Lady Anne's death in 1676, ownership of the Tower descended through the Earls of Cork and Burlington, to the family of the Duke of Devonshire and in 1745 militia weapons were stored there for the Jacobite Rebellion. 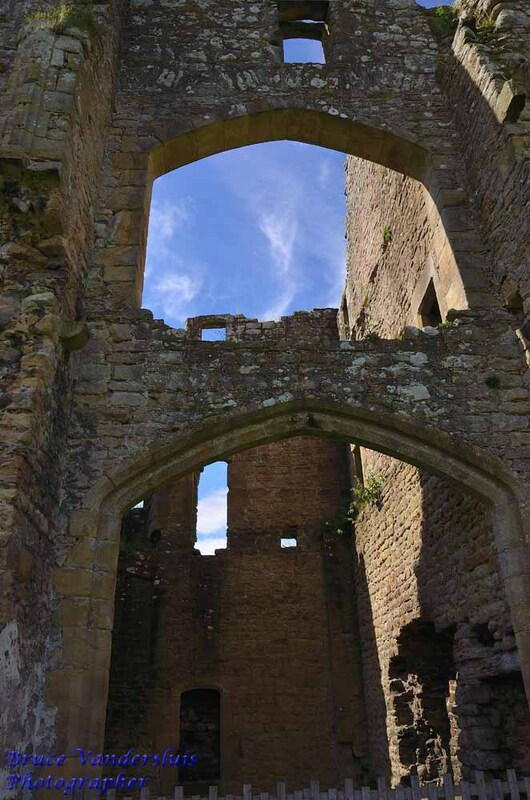 The Tower remained operational until the late18th Century at which time the lead and timbers of the roof were removed and it slowly fell into ruin. In 1899 the outer walls were once again repaired to make them safe for visitors, however constant exposure to the elements makes this a constant dilemma. At some point in time an outer wall existed which was later dismantled and is now only represented by an archway. Only the outer shell of the Tower now remains and it is not possible to go inside due to the danger of stones falling. There is enough of the Tower left however, to give you the sense that this was once an imposing and formidable residence. Even though I could not get inside, I spent some time at the Tower, looking in and around. As you look into one of the ground floor openings, you can see a stairway rising majestically to upper floors that are no longer there; leaving you with a sense of what was and is no longer. I cannot help but wonder about the history of ruins. Who lived there, what was their life like, what did the property look like, was it full of laughter, love and fun. In the photo above, you get a sense of how many floors there were in the tower from the number of windows evident. I wonder, did the windows have glass or where they covered in heavy tapestries to keep out the cold. I find myself visualising what the inhabitants would have looked like, the clothes that they would have worn, what would they have eaten, what sort of entertainment would they have enjoyed. I sense great banquets with a minstrel playing quietly in the corner. Was the house full of laughter or fear? The cost to enter the Bolton Abbey Estate is £8 Cars (up to 11 passengers), £4 Motorcycle, £1 per person groups of 12 or more. Please check the website for changes or specials. Although there are cafes not far away at Bolton Abbey, if you have the time I would suggest a picnic in the grounds of the Tower. There is so much atmosphere here, that if you are in any way inclined and able to spend some quality time, you might just hear echoes of the past. When: Grounds open 9 am all year, Last admission between 4 pm and 6 pm (date dependent), grounds close between 6 pm and 9 am (date dependent). Please see website for more information.